- Some places on this earth are blessed with more than their fair share of magic. That's certainly the case at this spectacular waterfall, where a young beauty bathes. oblivious of the watchful dragon. 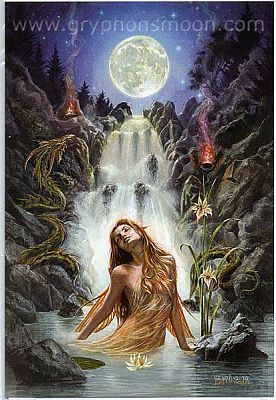 Card measures 8" by 5 1/2"
Do you have any other questions about our Moon Falls Greeting Card?